Our colours offering colour-fast protection and quality. This is down to the processing of the extensions. Blending two or three colours together creates the most natural looking extensions. 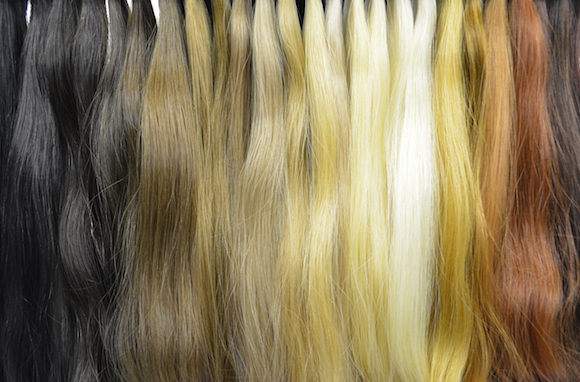 Our pre-bonded, micro ring & tape hair extensions are available in 26 natural shades and a further 10 ombre shades. Our luxury clip-ins colour range is slightly different and comes in bespoke blends of colours including 15 beautiful hues. Your extensionist will talk you through the colour options during your consultation to advise you on the best colour to complement your own hair, skin tone, eyes and overall look.